Did you know that some horses will follow you for a carrot, while other horses won’t budge unless you whack them with a stick? Well, people are also motivated by either carrots, or sticks. Some people move towards goals. Other people move away from consequences. Psychologists have identified four distinct personality types: Sanguine, Phlegmatic, Melancholic and Choleric. Everyone leans towards one of these types. If you learn to understand what excites, motivates, irritates and frustrates these different personality types, you’ll be well on your way to understanding why certain people frustrate you more than others. Sanguine and Choleric personalities tend to be fast-paced and impulsive. If you dangle a carrot in front of them, they’ll probably jump at the carrot. On the other hand, Phlegmatic and Melancholic personalities tend to be slower-paced and indecisive. To get them into gear, you sometimes have to show them the sticky consequences of not taking a risk. “Carrot” people go to the dentist because they want white teeth. “Stick” people go to the dentist because they don’t want cavities. “Carrot” people try new things because they want to get ahead and be in the know. “Stick” people try new things because they don’t want to fall behind, or mess things up. 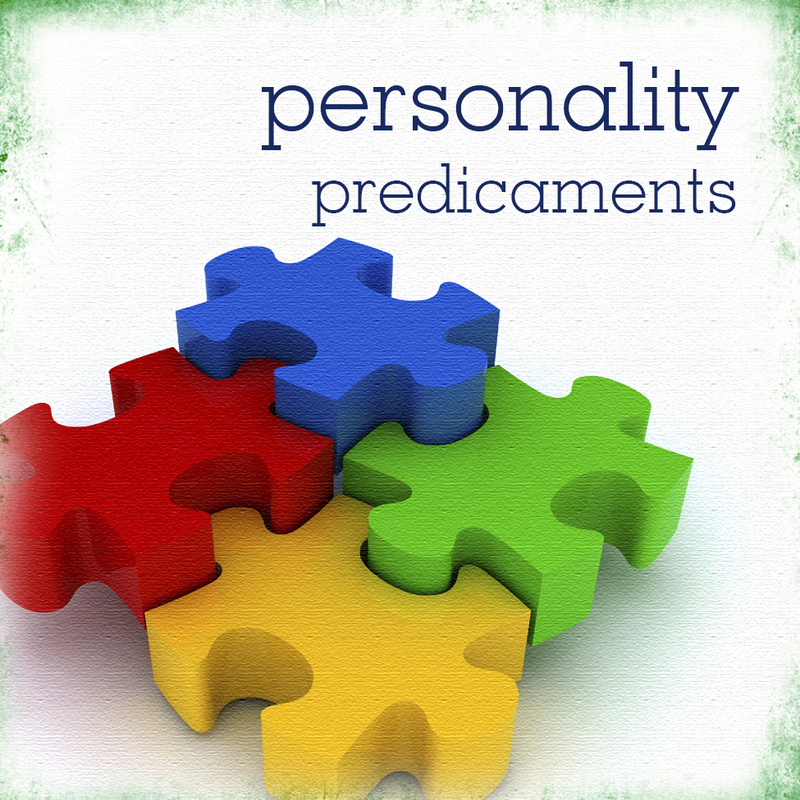 Here’s another personality trait that you should consider. Melancholic and Choleric personalities tend to be internally validated. In other words, they carry inside themselves a strong sense of their own opinions and their own sense of right. If you give Cholerics too much feedback, they’ll ask you to mind your own business. If you give Melancholics illogical feedback, they’ll throw their hands up in frustration. In contrast, Sanguine and Phlegmatic personalities tend to be externally validated. Meaning, they need people to validate them, and they only thrive when others support them. In fact, they often value your opinion more than they value their own. If you don’t give a Sanguine enough feedback, you’ll likely be tracked down and asked what you think; while Phlegmatics can’t make a decision without considering how everyone around them is affected by the decision. Basically, Melancholic and Choleric personalities tend to make decisions based upon what they think, want, or need; while Phlegmatic and Sanguine personalities tend to make decisions based upon what others think, want, or need. That being the case, whenever you want to present a solution, opinion, or idea to someone, you should probably consider that person’s personality type because unless your solution motivates his or her type, you’re wasting your time and confusing the issue. You can find more about this topic on Navigating Life’s website, including the two questions you need to answer in order to determine a person’s personality type. Simply go to http://www.navigatinglife.org, and visit the Galley for links to our full articles on persuasion, personality, and communication.